Chances are, you’ve got this food item sitting in the back of your refrigerator…but you’d never dream of eating it. At least not plain and out of the box. December 30 is National Bicarbonate of Soda Day! Baking. It helps foods, like breads, rise. Relieves stomach indigestion and heartburn when mixed with water. Removes odors in the refrigerator. It is used in fire extinguishers for grease and oil fires. It is used as a cleaning agent. It can help tenderize meat. You can polish silverware with it. You can brush your teeth with it. The list goes on and on. Yes, bicarbonate of soda (baking soda) is a useful product. We get it. 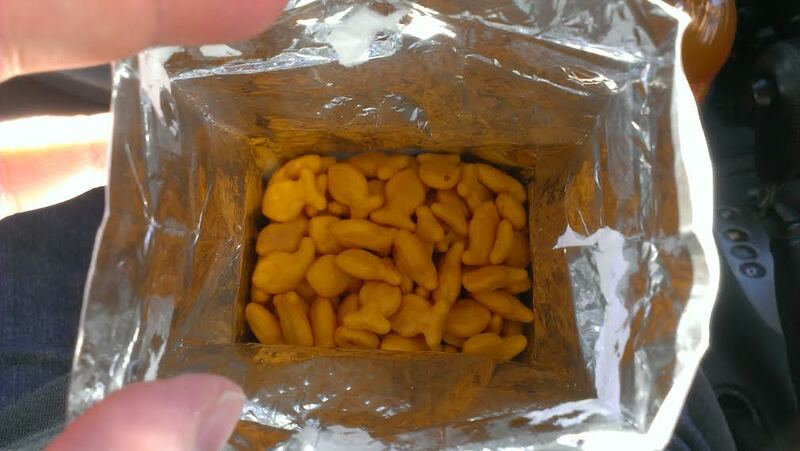 Goldfish crackers? Seriously? Chicken in a Biscuit…yes…Ritz…also a yes.